More than half of all drivers will be involved in a collision at some point, so it’s essential that you know what to do if it happens to you. Your top priority after any accident is to seek medical attention for yourself and for anyone else who was injured. Even if nobody appears to have been severely hurt, you should still contact the police so an officer can attend the scene and create an accident report. Before you leave the scene, be sure to exchange insurance information with all other drivers involved in the crash. Without their information, it will be difficult to file a claim with your insurance agency. You should also take photos of any injuries, traffic signs, property damage and skid marks, and write down the contact details of eyewitnesses. 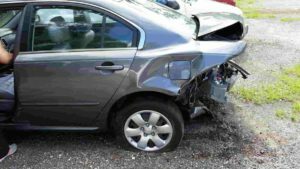 The evidence you gather at the accident scene could be the difference between having all of your damages covered and paying a small fortune out of your own pocket. You could have to pay out of pocket. Avoid putting yourself in debt by making sure you get the information you need from the other driver or drivers involved in the crash, and by investing in uninsured motorist coverage. Getting insurance information after a car accident is standard practice, but the conversation may still be a little awkward. When you’re speaking with the other driver, you may be tempted to apologize or take blame for the crash. You should also photograph or write down the license plate number. What If the Other Driver Refuses to Share Insurance Information? If the driver refuses to give you the above information, notify the police right away. You should also notify your insurance company. Did we miss any important points? Feel free to share your insights in the Comments section below.